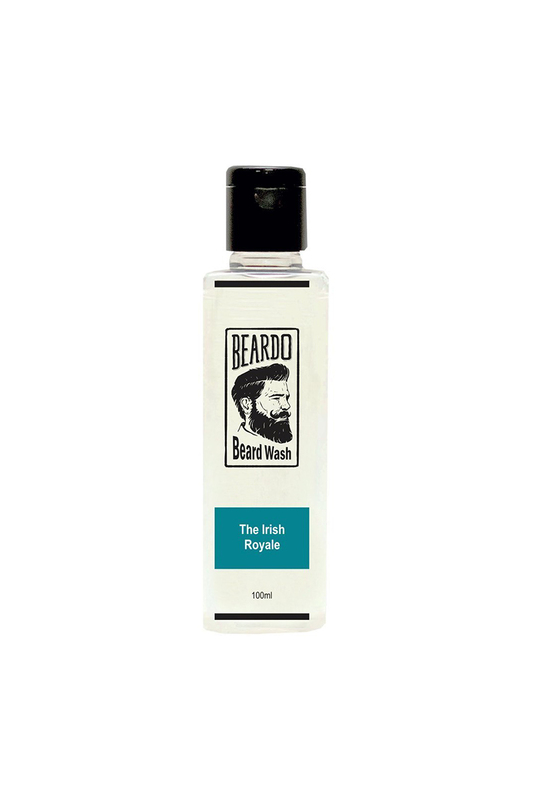 Beardo Beard Wash The Irish Royale 100Ml Beardo Beard Wash 100 Ml Ingredient Nutmeg Clove Sweet Orange Purified Water, Sodium Laureth Sulphate, Disodium Lauryl Ether Sulfosuccinate, Peg 7 Glyceryl Cocotte, Glycerine, Disodium Edta, Sea Salt. Direction Of Use Now That You Have Our Super Awesome Beard Wash, Squeeze A Small Amount On Your Hand And Apply Directly On Wet Beard. Rinse Thoroughly With Water. Caution Store In Cool Place. Avoid Contact With Eyes. If Contact Occurs, Rinse Eyes Thoroughly With Water.